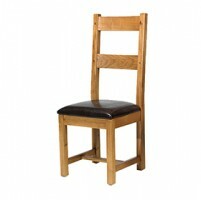 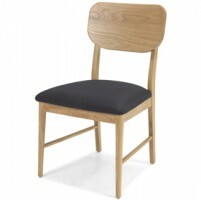 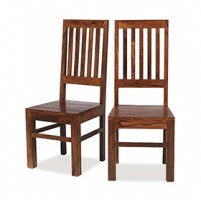 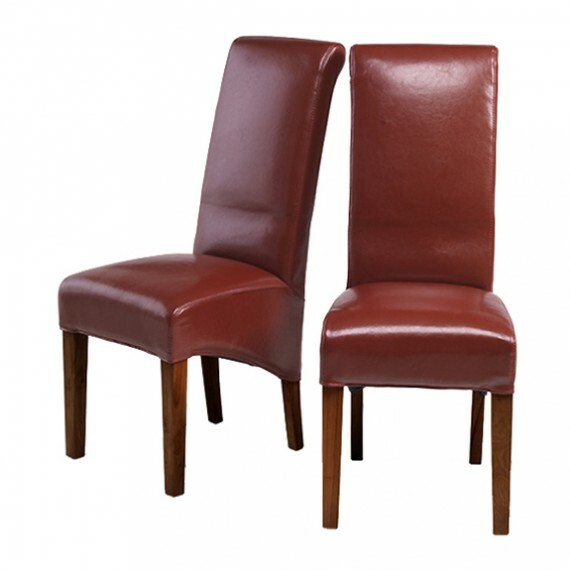 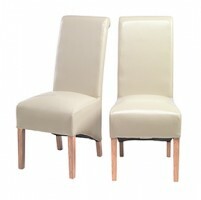 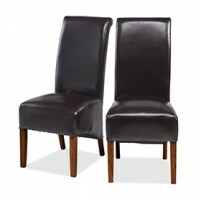 Add some dramatic colour to dinner time with this pair of dining chairs. 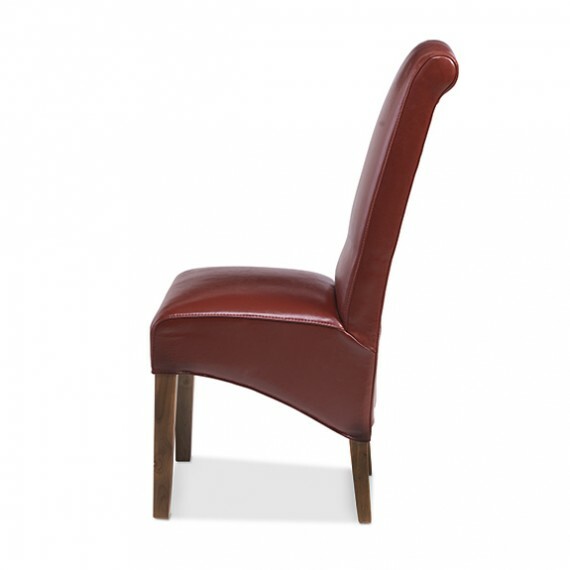 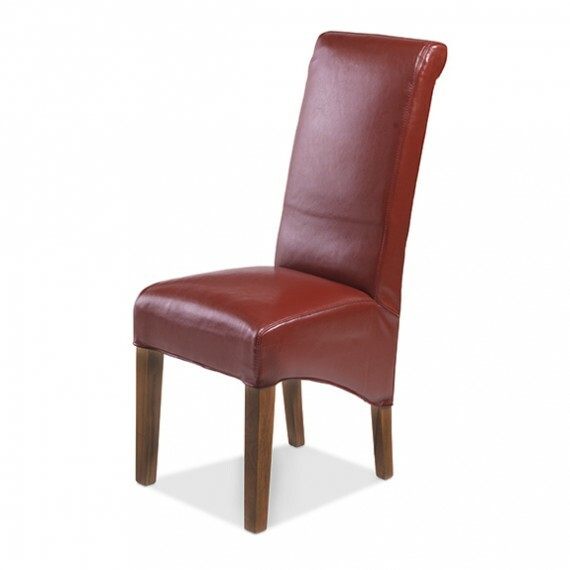 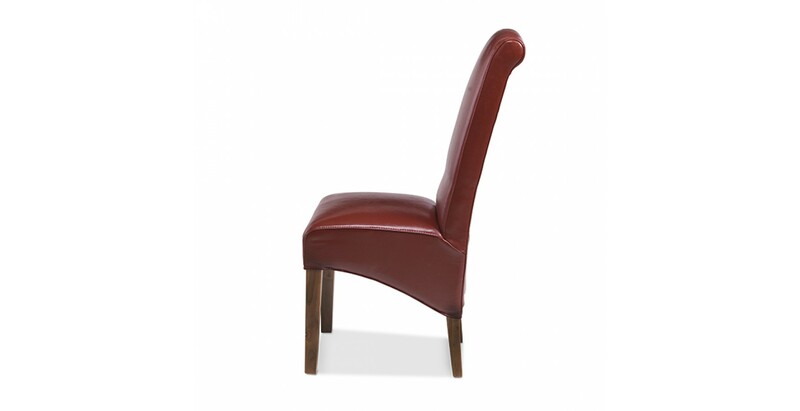 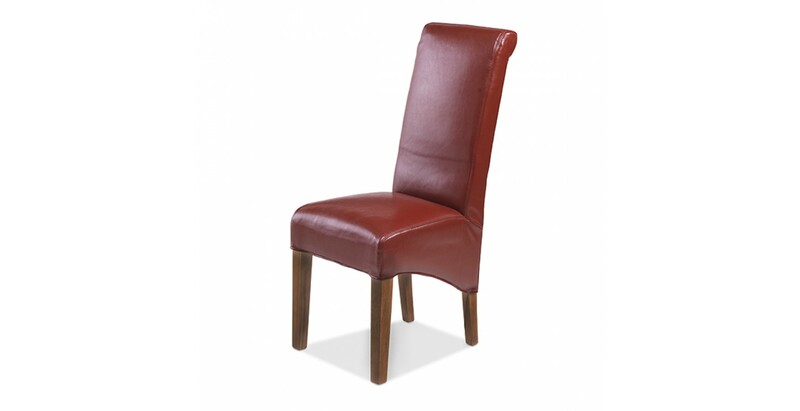 Upholstered in red bonded leather, the seats and backs are padded so that diners will sit in comfort throughout the longest meal. 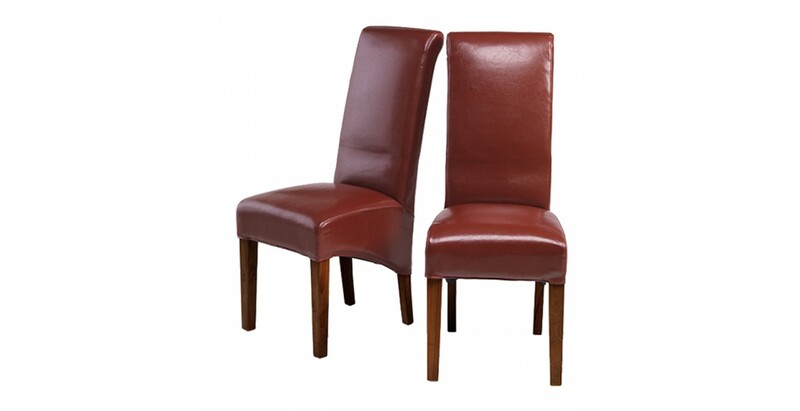 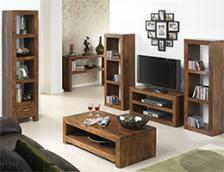 With sturdy hardwood legs, they go perfectly with any of our dark-hued dining tables to add a touch of modern luxury.